Organic and Inorganic Chemistry is an international, peer-reviewed; Open Access journal that publishes research articles on all aspects of organic and inorganic chemistry. The scholarly journal provides a free and unrestricted access to the published findings in the concerned domain. The removal of copyright barriers to the flow of scientific information under the norms of open access is aimed at informing and educating about the latest research in organic chemistry. Individual manuscripts submitted by authors are peer-reviewed by experts from related research area. Organic and Inorganic Chemistry Covers topics related to: Stereochemistry, Biochemistry, Organometallic chemistry, Catalysis, Supramolecular chemistry, Materials science, Organic synthesis, Natural products, Heterocyclic chemistry, Industrial inorganic chemistry, NMR spectroscopy, Electrochemistry, Organometallic compounds, Crystallography, Molecular Geometry, Organometallic Chemistry, Descriptive Chemistry, Crystal Lattices, Coordination Chemistry, Heat of Combustion, Green Chemistry, Organic chemistry, Physical organic chemistry, Bioorganic chemistry. Organic and Inorganic Chemistry Journal is an Indexed, peer-reviewed open access journal that aims to publish the most complete and reliable source of information on discoveries and current developments in the mode of original articles, review articles, case reports, short communications, etc. in the field and provide free access through online without any restrictions or any other subscriptions to researchers worldwide. Articles submitted by authors are evaluated by a group of peer review experts in the field and ensures that the published articles are of high quality, reflect solid scholarship in their fields, and that the information they contain is accurate and reliable. 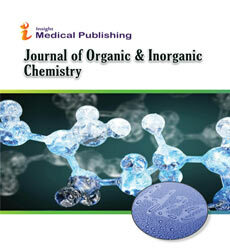 Organic and Inorganic Chemistry Journal uses Editorial Manager System for a qualitative and prompt review process. Editorial Manager is an online manuscript submission, review and tracking system. Review processing is performed by the editorial board members of Organic and Inorganic Chemistry Journal or relevant experts from other universities or institutes. Minimum two independent reviewer’s approval followed by editor approval is required for the acceptance of any citable manuscript. Authors may submit manuscripts and track their progress through the editorial system. Reviewers can download manuscripts and submit their opinions to the editor whereas the editors can manage the whole submission/review/revise/publish process via editorial manager. Stereochemistry involves the study of the relative spatial arrangement of atoms that form the structure of molecules and their manipulation. The study of stereochemistry focuses on stereoisomers and spans the entire spectrum of organic, inorganic, biological, physical and especially supramolecular chemistry. Green chemistry mainly focused on the design of products and processes that minimize the use and generation of hazardous substances.Green chemistry overlaps with all subdisciplines of chemistry but with a particular focus on chemical synthesis, process chemistry, and chemical engineering, in industrial applications. Synthetic Organic Chemistry may be a Special Branch of chemical synthesis and cares with the development of organic compounds via organic reactions. Organic molecules usually contain the next level of complexness than strictly inorganic compounds, in order that the synthesis of organic compounds has developed into one among the foremost vital branches of chemistry. Experimental Organic Chemistry is that the study of the connection between structure and reactivity of organic molecules. Experimental organic chemistry journals has a lot of specifically, physical chemical science applies the experimental tools of chemical science to the study of the structure of organic molecules and provides a theoretical framework that interprets however structure influences each mechanisms and rates of organic reactions. Environmental Organic Chemistry journals focuses on environmental factors that govern the processes that determine the fate of organic chemicals in natural systems. The information discovered is then applied to quantitatively assessing the environmental behavior of organic chemicals. Environmental Organic Chemistry is the scientific study of the chemical and biochemical phenomena that occur in natural places. It should not be confused with green chemistry, which seeks to reduce potential pollution at its source. It can be defined as the study of the sources, reactions, transport, effects, and fates of chemical species in the air, soil, and water environments; and the effect of human activity and biological activity on these. Environmental chemistry is an interdisciplinary science that includes atmospheric, aquatic and soil chemistry, as well as heavily relying on analytical chemistry and being related to environmental and other areas of science. Journal of Organic & Inorganic Chemistry, Organic Magnetic Resonance, Organic Letters, Organometallics. NMR stands for Nuclear Magnetic Resonance. NMR spectroscopy is associate analytical chemistry technique utilized in internal control and research for crucial the content and purity of a sample similarly as its molecular structure. Carbohydrate Organic Chemistry may be a sub discipline of chemistry primarily involved with the synthesis, structure, and performance of carbohydrates. because of the overall structure of carbohydrates, their synthesis is commonly preoccupied with the selective formation of glycosidic linkages and also the selective reaction of hydroxyl radical groups; as a result, carbhydrate organic chemistry journals depend heavily on the employment of protective teams. Journal of Organic & Inorganic Chemistry, Journal of Organic Chemistry, Organic Syntheses, Journal of Physical Organic Chemistry. In hydrocarbon organic chemistry, a hydrocarbon is an organic compound is a chemical compound consisting entirely of chemical element and carbon. A hydrocarbon from that one atom has been removed are useful teams, known as hydrocarbyls. Aromatic hydrocarbons (arenes), alkanes, alkenes, cycloalkanes and alkyne-based compounds are differing kinds of hydrocarbons. The majority of hydrocarbons found on Earth naturally occur in fossil fuel, wherever rotten organic matter provides AN abundance of carbon and chemical element that, once warranted, will set up to make ostensibly limitless chains. Stoichiometry is founded on the law of conservation of mass where the total mass of the reactants equals the total mass of the products leading to the insight that the relations among quantities of reactants and products typically form a ratio of positive integers. This means that if the amounts of the separate reactants are known, then the amount of the product can be calculated. Conversely, if one reactant has a known quantity and the quantity of product can be empirically determined, then the amount of the other reactants can also be calculated.Here, one molecule of methane reacts with two molecules of oxygen gas to yield one molecule of carbon dioxide and two molecules of water. Stoichiometry journals measures these quantitative relationships, and is used to determine the amount of products/reactants that are produced/needed in a given reaction. Describing the quantitative relationships among substances as they participate in chemical reactions is known as reaction stoichiometry. In the example above, reaction stoichiometry measures the relationship between the methane and oxygen as they react to form carbon dioxide and water.